Music is something that millions of people enjoy – there are hundreds of different genres and certainly something for everyone to listen to. While it feels great to turn the volume knob on our speaker while listening to a few songs at home, walking on the street brings a completely different experience. You cannot carry your speaker with you wherever you go, but you can certainly wear a set of headphones to continue enjoying your favorite songs while you are on the move. There are many headphones out there, but not all of them are appropriate for commuting and traveling. 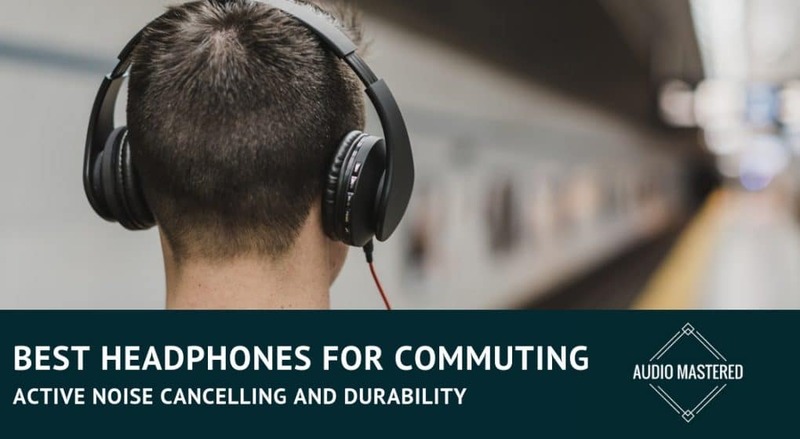 In order to ensure you buy the best headphones for commuting, there are a few factors that you should always take into consideration. In this guide, I’ll tell you about the most important points to consider when you are looking to buy a pair of headphones that you will travel with, and introduce you to some of the best options that you can opt for. I looked at a large number of the headphones on the market in order to determine what the best ones are for people who commute on a frequent basis – whether you are simply commuting between home and work, or traveling a lot. Here are my five top choices below. First on our list is the Bose QuietComfort 35. If you are concerned about the quality of your headphones, then you most likely know about the Bose brand already – the brand is known for producing some of the best sound equipment and accessories on the market. The Bose QuietComfort 35 focuses on your comfort while wearing the headphones, while also including the latest noise-canceling technology to ensure external noises will not get in your way of listening to your favorite tracks, no matter where you are. 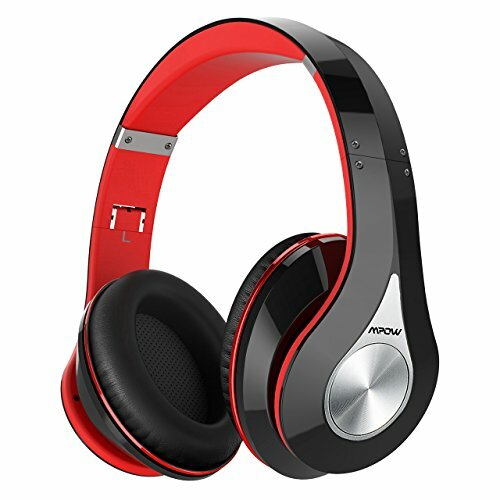 In addition to the noise canceling features built into the headphones, the product also comes with a dual microphone system that also features noise-rejecting technology, ensuring that you are able to enjoy crystal clear calls, even when you are in an environment where noise would usually be an issue. These headphones are available in both silver and black colors. Next up is the COWIN E7 Active Noise Cancelling Headphones. 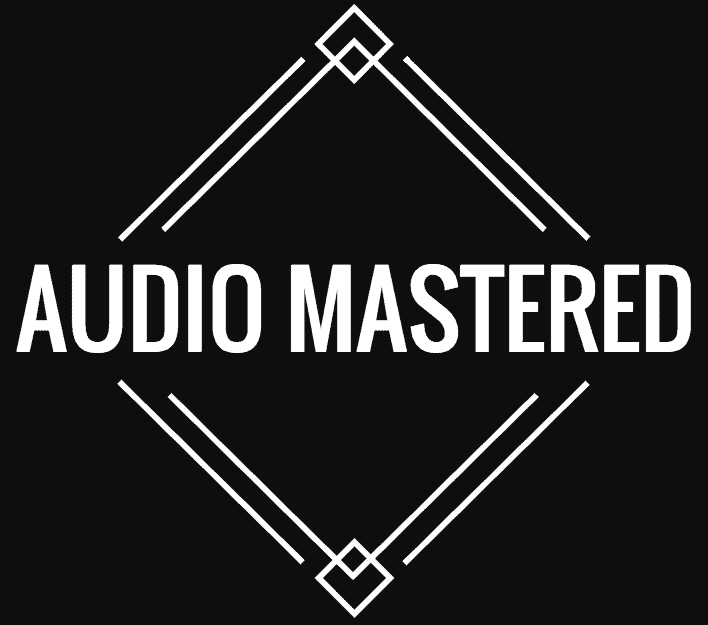 This set is much more affordable than most other high-quality options that you are going to find available on the market, yet provides exceptional quality and noise cancellation for a more pleasurable experience while listening to your favorite tracks. You can pick up this pair of headphones for less than $60. The product comes with built-in Bluetooth to ensure you can listen to music without any wires getting in the way, and the batteries offer up to 30 hours of play time without the need to recharge, which is quite impressive when compared to some of the other options that are available on the market. The COWIN E7 Active Noise Cancelling Headphones are available in five different colors, including white, black, red, purple, and blue. They are one of the best selling headphones on the market. If you want more information make sure to check out my in depth review of the COWIN E7s here. If you are looking for a budget-friendly option that looks great and will be able to give you an adequate experience while commuting, then consider the MPOW 059 Bluetooth Headphones. Trusted by thousands of people, this pair of headphones come in a large selection of colors, including white, silver, black, red, pink, green and blue. These headphones are available for a low price that is less than $35 and features a foldable design, making them more portable than a large number of the alternative options that you are going to find on the market. The MPOW 059 Bluetooth Headphones features memory-protein earmuffs that are soft on the ears, yet very effective in blocking out any external sounds. The built-in microphone ensures you can easily answer a phone call while the headphones are on your ears, and a wired mode is available for times when the battery runs out, or when you prefer wires. 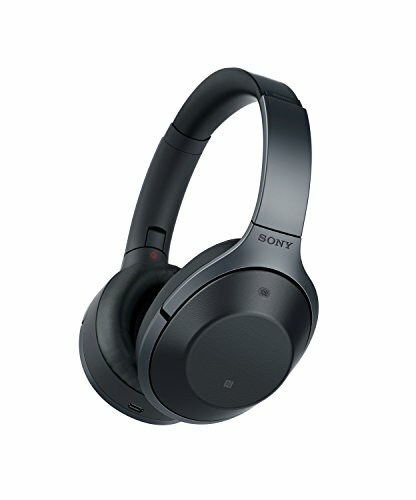 Another excellent option for those people looking to buy a pair of headphones from a more trusted brand would by the Sony MDR1000X/B Premium Noise Cancelling Bluetooth Headphones. This set comes at a somewhat higher price than the other options we have listed thus far, at just under $400 per piece. The headphones are available in two different colors, including black and gray, and comes with a variety of features to help enhance your experience while you are listening to music during your travels. 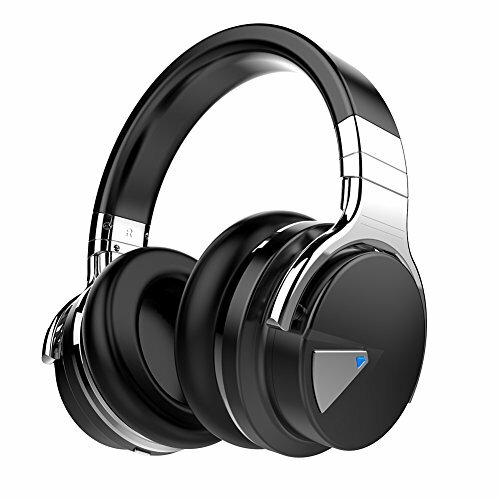 These headphones offer a fast connection to Bluetooth-enabled devices, Hi-Fi quality sound, as well as some of the best noise cancellation features currently available to the public. 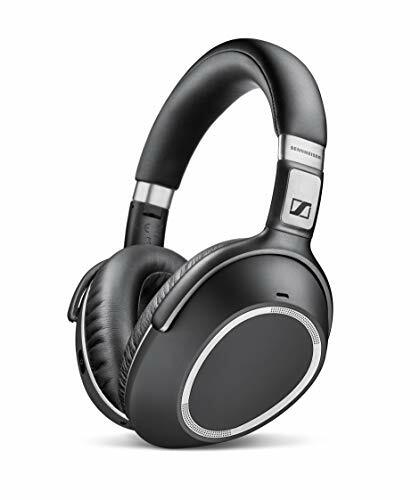 The last one on our list is the Sennheiser PXC 550 Wireless. 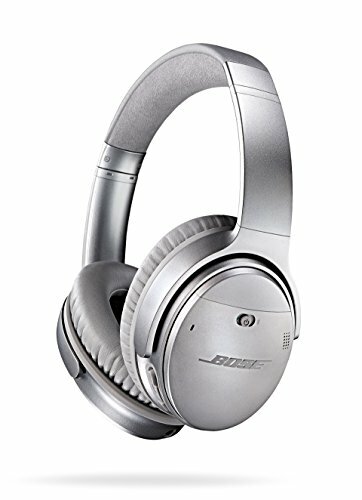 This product comes with the brand’s unique NoiseGard Adaptive Noise Cancelling technology, which ensures any sound made from the outside will be effectively canceled out so that you can focus on the music that is playing in your ears. The headphones were designed to fit comfortably on your ears and to be lightweight on your head. The Bluetooth 4.2 technology also allows for a faster and a more stable connection to your smartphone, laptop, or tablet device. Not all of the headphones that are currently on the market will offer the same experience when it comes to listening to music on-the-go, which is why you should look at specific factors when you try to find the perfect pair for yourself. Below, I discuss some of the most important points that you should look for if you wish to buy the best headphones for commuting that will not get in the way of your ability to truly enjoy your music. Since you will be moving around with your pair of headphones, we highly suggest that the very first factor that crosses your mind when you are looking at a few options is their portability – ask yourself how compact each pair of headphones are in order to determine what will best suit you. You obviously do not want to carry excessively large headphones with you – you want something that is lightweight and not too big, as this will make commuting with them significantly easier. When it comes to portability, whether or not the headphones feature wireless communication also comes to mind. While there are some potential advantages to owning headphones that are wired, when moving around, wireless headphones tend to be much more practical. As these headphones will be out in the world they need to be able to take a beating. Look for headphones that have a metal headband and thick, tangle-resistant cables. If you’re are paying less than $100 you should expect a lot of plastic on your headphones but you should still only buy if it has a metal band. The headband is usually the first thing to go with over-ear headphones. If earbuds are more your style you can check out my list on the most durable earbuds on the market. Battery life is another important factor that you should keep in mind while you are shopping for that perfect pair of headphones that you can use when moving around, whether walking, riding a bike, or taking the train. Don’t settle for anything less than 20-hour battery life. It should be noted that this particular factor only implies if you are planning to buy a set of wireless headphones, as the wired options often do not come with a built-in battery. There are many headphones out there that will offer you extended battery life – these are the ones that you would ideally want to buy. Opting for a pair of headphones that do not have a long battery life will put an end to your ability to enjoy your music for long wherever you go. When you do opt for a wireless headphone, then see if the product would work with a cable in cases where the battery might run out. This way, you can have a cable as a backup for times when the battery runs empty, and you are not near a power source. Another important function that you should look at when buying headphones is their ability to cancel out noise in the background. While commuting, there is no doubt that you will run into situations where background noise from your surroundings will interfere with your ability to listen to the music you are playing on your headphones. This can be unpleasant, but if you buy a high-quality pair of headphones with adequate noise cancellation features, then background noise is no longer a concern. My first set of active noise canceling headphones was a game changer. They made my commute much more relaxing as well as drastically improved my concentration in noisy environemtns. Look for headphones that specifically mentions active noise cancellation as a feature. Some products will provide you with details on how much noise can be canceled in the background – the more noise that can be canceled out, the better your experience will be in the end. There are also a couple of headphone options that come with specific modifications to the area that covers your ears while wearing the headphones in order to reduce external noises from entering your ears. Listening to music on a pair of headphones while commuting around town is different from enjoying some track back home, so it is important to consider the fact that not all headphones on the market will let you equally enjoy your music while moving around. Have any other suggestions? Let me know in the comments below!